Dante is a next-level WordPress theme. Dante is a clean, modern and minimal multi-purpose WordPress theme. everything you need to take it to the next level and save money doing it. Built using the sleek, intuitive, and powerful Bootstrap framework, Dante is mobile ready right from the start. Its responsive, mobile first fluid grid system scales up to 12 columns as the device or viewport size increases. Dante also come with a Responsive Visibility Shortcode to give you extra control when it comes to your content. creating something incredible with Dante is an effortless and intuitive process. 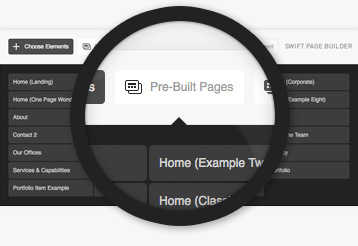 Our Robust Page Builder is easy to use and comes loaded with 44 different elements. It’s easy and quick to create beautiful pages, which you can also save as custom templates. Sometimes you might want to just dump your content in and be done with it. With this in mind, we’ve crafted our standard pages with an unprecedented attention to detail. Need to get up and running quickly? No problem, we’ve loaded Dante with 27 Stunning pages. Just select the one you want, add your content, customise if you want, then publish. We’ve taken great care to ensure that Dante is fully retina-ready. So it’ll look good on any retain display. Built for WooCommerce 2.0+, Dante includes everything you need to start selling today! Choose from an incredible selection of beautifully designed and cleverly developed shortcodes. Customise Dante to your hearts content with a plethora of advanced options and settings. Set a site wide call to action with our promo bar. Choose from 2 different styles and lots of customisable options. Get up and running at the drop of a hat with our easy demo install process. Choose from full-width style or boxed. With boxed you can choose from 99 background images provided, or upload your own. Dante allows you to use a different background on every page, if you want to that is. Make it easy for your users to navigate your site with our ever-present mini-header. Take your customisation a step further with our powerful page, portfolio and blog meta options. A Header For Every Scenario. for added variation. In addition you can also set the opacity of the header. Dante lets you put an end to boring statistics! Video & Image Parallax Backgrounds. Create stunning Video and Image backgrounds. Simply upload your image or videos in mp4, webm, and ogv. as standard. Better yet, they’re all easily accessible through our shortcodes editor. Don’t worry, Dante also comes with all 369 icons in Font Awesome 4.0.3. 60 different elements that can be customised using the Colorizer. Choose from 4 different ways to use typography. All of the are easy and hassle free. Use real text with professional typefaces optimised for the web. Fontdeck is standards compliant and accessible & works on all modern browsers inc Internet Explorer 5+, Firefox 3.5+, Safari 3+, Chrome, Opera 10+, Android, Blackberry and Apple iOS devices (the iPhone & iPad). You can then control the font size, colour and line-height for the menu, body, H1, H2, H3, H4, H5 & H6. Dante comes with 3 fantastic sliders; The Revolution Slider, The Layer Slider and our own Swift Slider.